Sr Juliana, Sr Patricia, first members and Bishop Keith Rayner, the first and present Visitor of the community. The Sisters of the Incarnation was founded in 1982 in the Diocese of Adelaide as a contemporary expression of the Religious Life for women in the Anglican Church. The sisters lived in a unit in Black Forest, worshipped part of the time in St. George's, Goodwood and worked part time in St. Peter's Glenelg. They cared for the elderly and mentally ill, and worked with children. They were poor, earning the equivalent of a single pension for the two of them, but were supported by friends, parishioners and family. In their small unit, they converted their dining space into a chapel as required. During this time they developed the principles which would underpin the Rule and Constitution of the Community, and consolidated their life style. In 1983 at the invitation of the Archbishop of Adelaide, Dr Keith Rayner, the sisters moved to Elizabeth, where they worked in Holy Cross Parish, in pastoral ministry and music. Sr Patricia, a trained social worker, ministered in the Anglican Mission. In the eighties, life in Elizabeth where there was a disproportion of social housing, was tough, and at times dangerous, but never boring. However they were well supported by the close knit, warm and caring parish community. During this time, two people tested their vocation, but were unable to sustain the life in this difficult stage of a pioneering community. In 1984, Sr Juliana was professed in Bishopscourt Chapel, with her obedience grounded in the Archbishop because the community was still in formation, while the Rule and Constitution were being formed. Celebrating Sr Juliana's 25th anniversary of profession. 1988, Archbishop Rayner decided that the community had had sufficient stability for a period of six years to move from its formation stage and that he would receive the profession of the Sisters, with obedience grounded in their own community. Accordingly they were professed in St Peters’ Cathedral in October 1988. The Sisters of the Incarnation was formally established. It took until 1992 for the Sisters of the Incarnation to be officially recognised by the Bishops Conference through the Advisory Council for Anglican Religious Life in Australia. Sr Juliana began studying theology in the late eighties, and was selected for ordination to the priesthood in 1988. She was ordained deacon in 1990, and began work, helping in the foundation of the new parish of Golden Grove, and ministering as a chaplain in Aged Care and Modbury Hospital. In 1992, Sr Juliana was ordained priest by Archbishop Ian George with four other women. 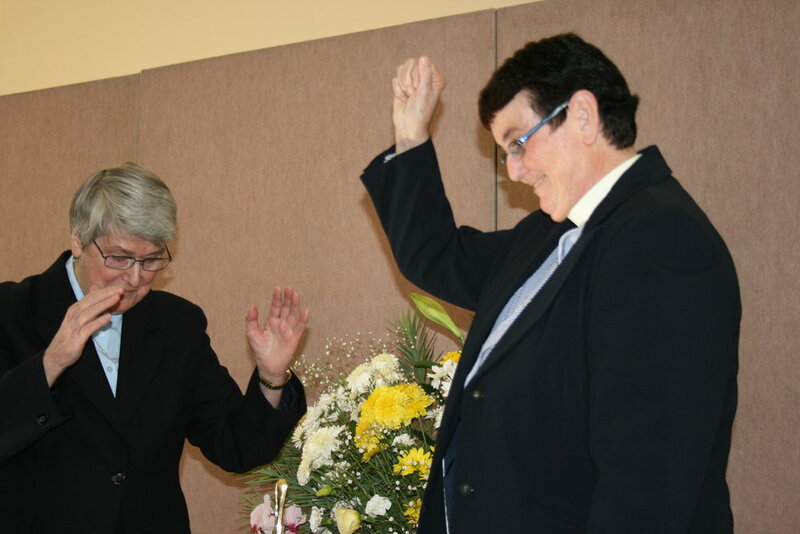 It was the first ordination of women in Australia after the passing of the General Synod Canon authorising the ordination of women in the Australian Anglican Church. In December 2017, three of the women celebrated 25 years of priestly ministry with Archbishop Geoff Smith. 25th anniversary of the first ordination of women in the Diocese of Adelaide, Joan Claring Bould, Sr Juliana, Archbishop Geoff Smith, Susan Straub. In 1990 Sr Patricia concluded her work as a social worker in the Anglican Mission and established a Spirituality Ministry, based within the House of the Incarnation in Elizabeth, and in the parishes of the northern suburbs. This ministry was greatly appreciated. In 1994 the Sisters moved to Wynn Vale in the Golden Grove housing estate to live in their own house. Sr Patricia continued the spirituality ministry in the northern suburbs. In 1997 Sr Juliana became the parish priest of Two Wells and Mallala, in the near country, while continuing hospital chaplaincy. 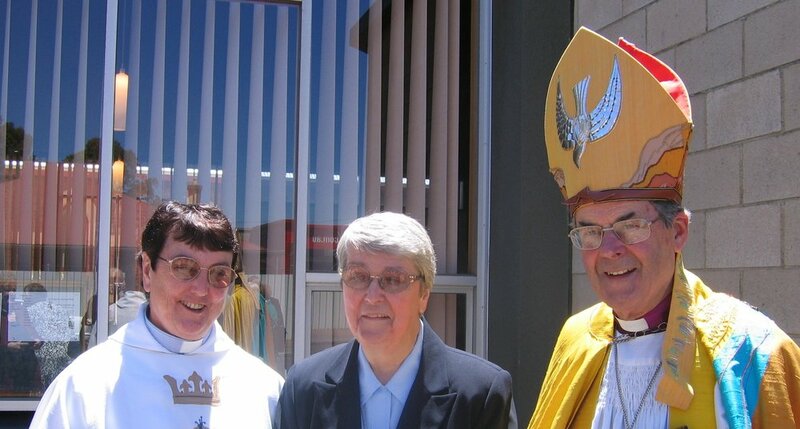 In 1999 she became the Associate Priest in Salisbury and Parafield Gardens. While the diversity of ministry at this stage of the community was challenging, it was also a time of consolidation in the life of the Sisters in the living of their charism. In 2002 the Sisters held a celebration of the 20th anniversary of the community in St Mark’s Golden Grove with a large number of friends from previous ministries. In 2003, after 20 years of ministry in many parishes and Anglicare, the Sisters left the northern suburbs. They bought a house in Dover Gardens, and Sr Juliana began ministry in the parishes of Plympton and Edwardstown. In 2005 she became the inaugural parish priest of the newly established Cooperating Parishes of Colonel Light Gardens and Edwardstown. The Sisters found running two parishes very demanding on their religious life, which required Sr Patricia to undertake most of the domestic work of the community, creating an imbalance in the community life. In 2006, at St Francis Edwardstown Sr Patricia celebrated 50 years of life as a professed sister. Ten years later, she kept her 60th anniversary of profession in the Sisters’ chapel at Dover Gardens. Sr Patricia celebrates 50 years professed in Religious Life. In 2009, also at St Francis, Sr Juliana celebrated her 25 years of profession. Sr Juliana retired from full time ministry in 2010 to restore the balance of the life of the community, but continued to work as a locum priest, and in her present position as Associate Priest at St Mary Magdalene’s in the City of Adelaide.